It is always better to prevent adhesive capsulitis rather than try to fix it after it happens, however that is not always the situation. In any case, there are a number of things you can do to keep yourself healthy and prevent further damage. 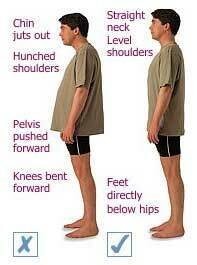 Stand tall and do not slouch as this puts stress on your shoulder joint, neck and upper back muscles. Also, avoid lifting objects that are too heavy for you. This will stabilize your shoulder and upper arm area, and increase the range of motion in your shoulder, arem and back muscles. Light weights, exercise bands and sticks are very beneficial for strengthening your upper body. Yoga, tai chi, or a daily stretching routine will help to keep your muscles and joints supple. Focus on total body fitness and include low-impact aerobic activity at least 3 days per week, such as walking, swimming, inline skating or biking. This will help to keep you healthy overall and strengthen your body to prevent against frozen shoulder or other shoulder injuries. 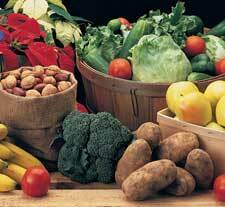 Eat a balanced diet of protein, complex carbohydrates, fats, vitamins, minerals, phytochemicals and antioxidants. This will help you support a healthly body and will help you maintain your weight. This is especially important if you have diabetes and need to keep control of your glucose levels. Limiting your caffeine, alcohol and nicotine consumption will also improve your health. Shoulder supports should be used as required during activities (bracing/strapping/taping the area for extra support) but do not wear these when not participating in activities. Mobility aids (long shoe horns, front fastening bras, and/or anything that helps to prevent you from over-reaching) will help alleviate your symptoms and improve functions. Give your body an opportunity to build up its endurance, and to protect your soft tissues from injury and overuse. This is especially important when participating in a new activity. Gradually increase your participation to prevent overstraining your shoulder muscles and joint. Warm up your muscles before exercise(especially your shoulder, arm and back muscles) to prepare your body and raise your body temperature. Recover from your exercise by doing a cool down routine to lower your body temperature and relax your muscles. Learn the correct body positions for your activity to help prevent injuries. If you are suffering from shoulder pain and/or stiffness, listen to your body and decrease, modify and/or avoid any activities or motions that cause pain and irritation such as repetitive lifting, pushing, pulling, throwing, and/or overhead movements. If you are required to perform these motions at work or play and cannot avoid them, make sure you take frequent breaks and rest to prevent fatigue and pain. It is important not to rush your recovery to prevent further damage.